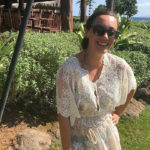 After months of struggling to post, I am back with two posts in two days! 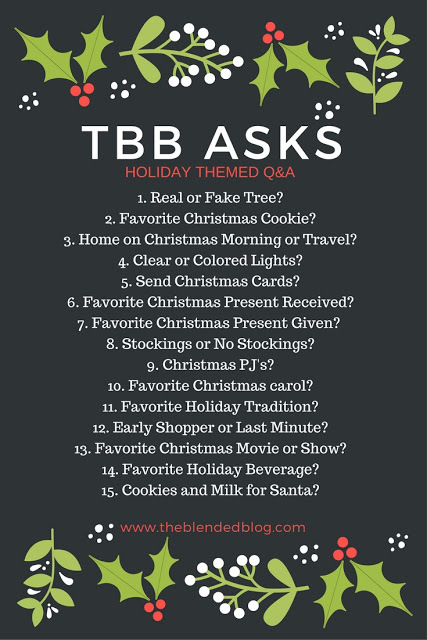 I don’t usually post back to back days but lots of my blog friends are linking up for this fun holiday Q&A from The Blended Blog and I had to join in on the fun! 1. Real or fake tree? I love real trees! 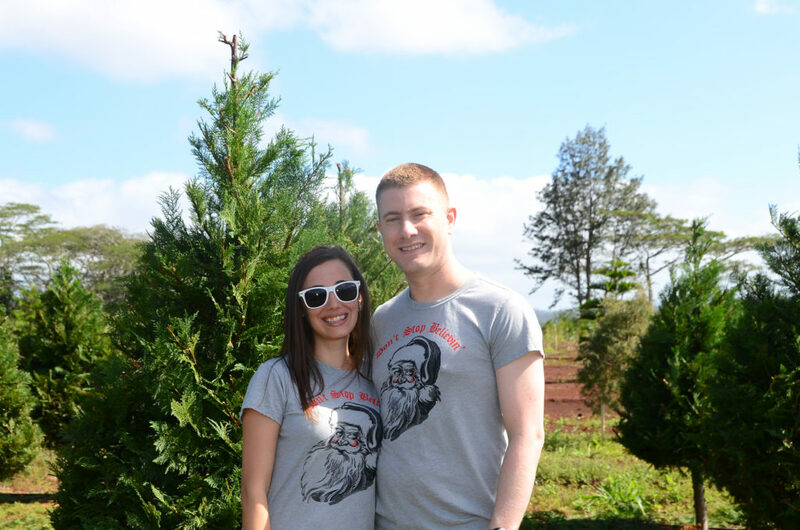 Over the weekend, Nick and I cut down a Christmas tree at a farm on the north shore of the island. It was something my family always did growing up so it makes me feel like I’m back home. However, because of military life, sometimes we celebrate Christmas late, so I do have a fake tree as a backup. One year, Nick made me homemade macaroons as a Christmas present, so I always associate them with Christmas now. They are my favorite! He tries to make them every year. 3. Home on Christmas morning or travel? Since military life is so unpredictable, every single Christmas we have shared together has been different. This will be our first year waking up together, in our own home, on Christmas morning, and I am pretty excited about it (even though it means we will be missing family). I think that we will always have a mix of travel and being home because we live so far from our family. 4. Clear or colored lights? Always colored. They are so much more fun! Yes, it’s one of my favorite Christmas traditions! Getting engaged! 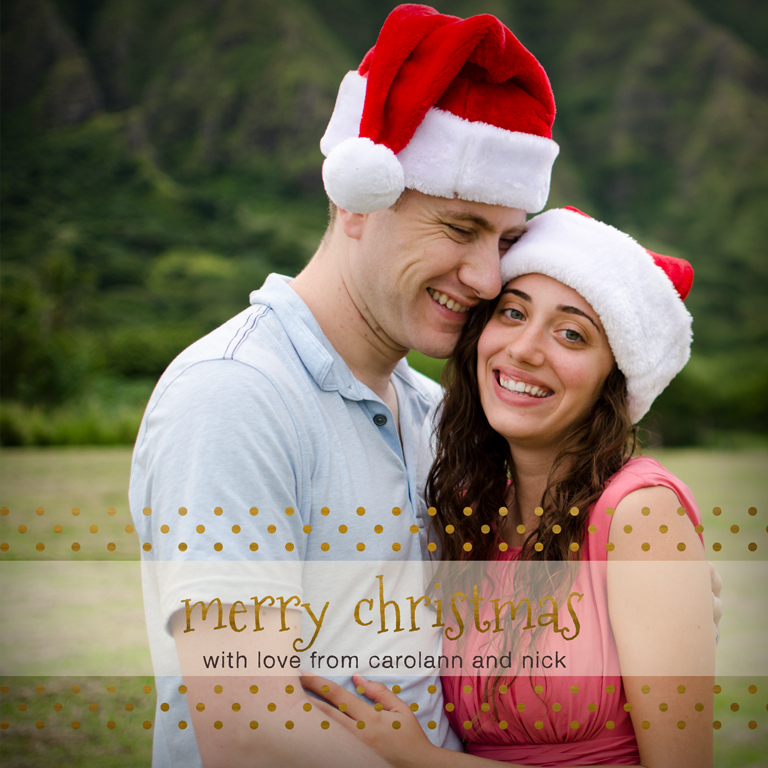 Nick proposed the day after Christmas. 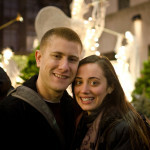 He flew to New York to surprise me. 7. Favorite Christmas present given? Oh gosh, this is really hard! The year that Nick and I were moving to Connecticut at Christmastime, we took my family out to a restaurant in New York City. It was awesome to get my parents, my brother, his girlfriend, Nick, and me all together at one time. 8. Stockings or no stockings? We never did stockings growing up. I think it’s because my grandma handmade our stockings and my parents didn’t want to mess them up, which is totally understandable. But the year that Nick and I got married, we bought these stocking from TerrapinKnits on Etsy, and every year we fill them up to the brim! One year, we were moving at Christmastime, so we packed our stockings in our suitcase and just did stocking stuffers. I love how creative you can get with stocking stuffers and the challenge of finding small gifts! Oh gosh, this is a hard one! I love the music to The Nutcrackerer. Nick and I decorate the tree together. We drink wine, listen to Christmas music, and reminisce. It’s my favorite Christmas tradition because all of our ornaments are special to us. We have either collected them on our travels or given them to each other for Christmas. Each year we give each other an ornament and it’s usually something that represents the year we had or something unique about each other. 12. Early shopper or last minute? It’s December 5th and I’m done shopping! The Grinch! The cartoon, obviously. Hot chocolate! Well, spiked hot chocolate! We did it when I was little, but now that we live in Hawaii, you can’t leave anything out for longer than it takes to eat it! The ants will be all over it. I love hearing about everyone’s favorite holiday traditions! Link up with The Blended Blog or answer in the comments below! 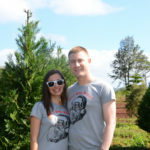 Spilling my secrets at the Christmas tree farm. That’s so crazy about the ants in Hawaii! 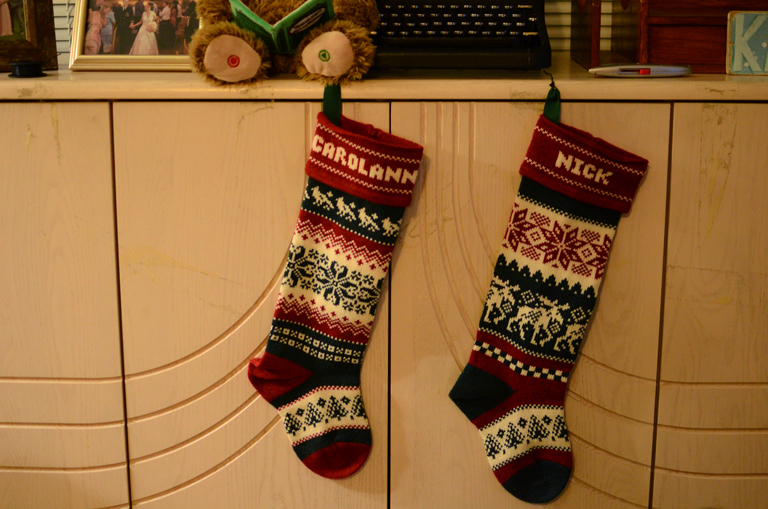 And I totally understand why your mom didn’t want to mess up the stocking, but I’m happy that you and Nick have made your own tradition with them! I’m glad you did the Q&A!! Reading about other people’s traditions makes me feel more festive! I’m so glad that you joined in to answer the questions! I have to admit that I’m jealous of how much Nick bakes! I’ve heard that macaroons are super hard to bake so that’s so awesome that he made them for you one year! And I love putting up our ornaments from it trips too! It’s so much fun to reminisce! Ahh I’m so impressed (and jealous!) that you’re done shopping!! It’s funny, in the UK it’s a carrot and a mince pie! And maybe a tot of whiskey. Although we never did any of that anyway. I love the sound of your ornament tradition, that’s really cool. I think I might have to make some new traditions this year as our first Christmas away from the UK. I think stockings are one of my favorite things too. I’m trying to get my husband in board with doing them. I always fill his up but this year I made it a point to tell him I want things in mine too! Haha. I’m having a lot of fun finding things for my daughters stocking…but I just hung them this weekend and I forgot how small hers is. Time to buy new ones! The Grinch is the best! I love your stockings and I love both of your answers to the gift questions– such a great reminder that the best gifts usually aren’t even “things”… though I would love homemade cookies for a Christmas gift, lol. Macaroons are so good! I haven’t watched The Grinch in years, but I really want to rewatch it again this year. 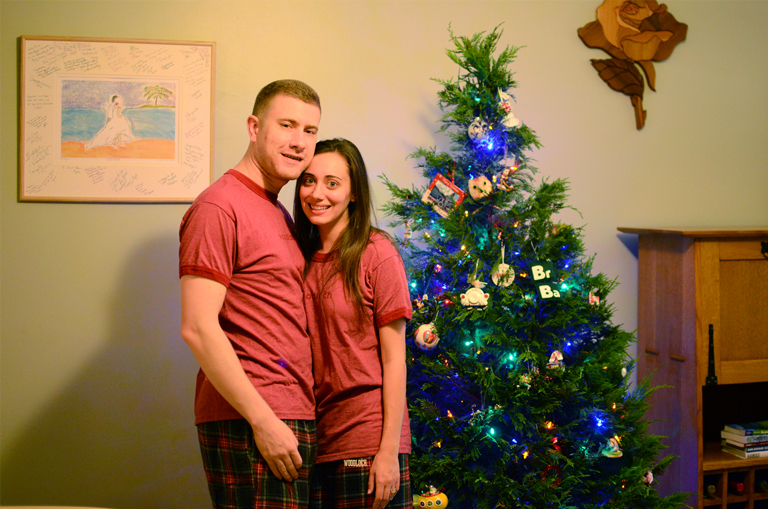 Ahh so fun that you get to celebrate your proposal-anniversary as well as Christmas 🙂 And you guys are so cute in your matching Christmas pajamas! It’s fun when Christmas is unpredictable. Like you said with the military you just never know where you are going to be.